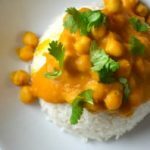 Vegetarian food doesn’t have to be boring, and I’m here to prove it to you! 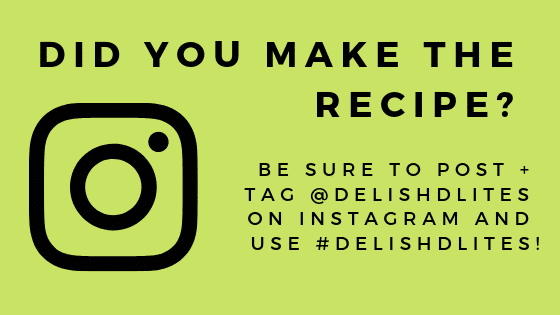 Forget about eating like a bunny, there’s so much you can do with vegetarian cuisine, as long as you’re willing to be creative. Kabocha squash happens to be one of my favorite type of squash, these green, squat little gourds are so sweet and velvety. 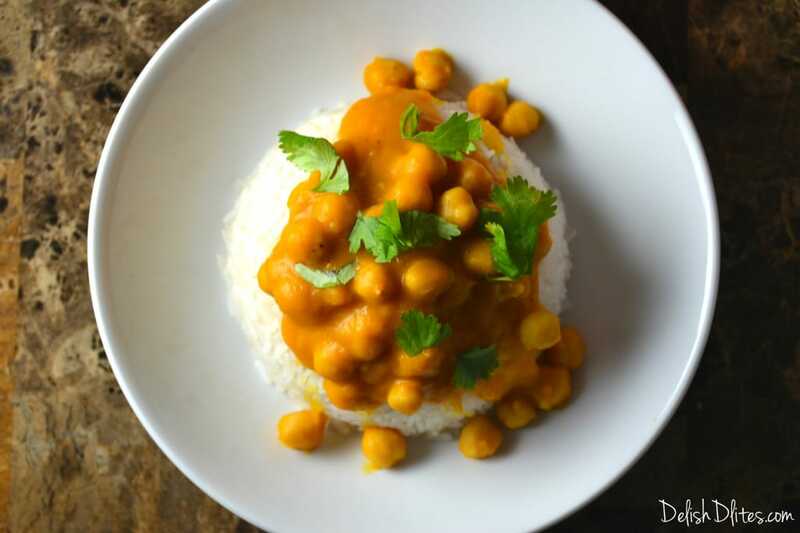 That sweetness pairs beautifully with the flavors of Thai massaman curry paste and coconut milk. The result? 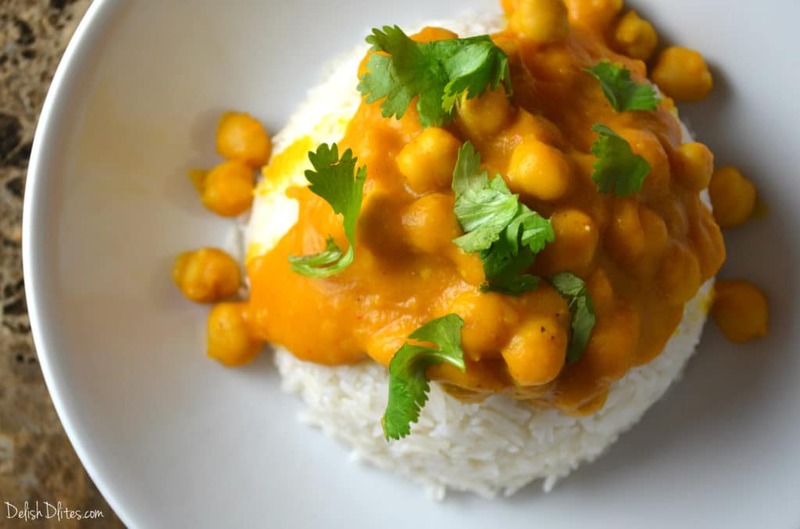 A delicious, complex Thai-inspired curry dish that will make you forget you’re eating vegetarian. 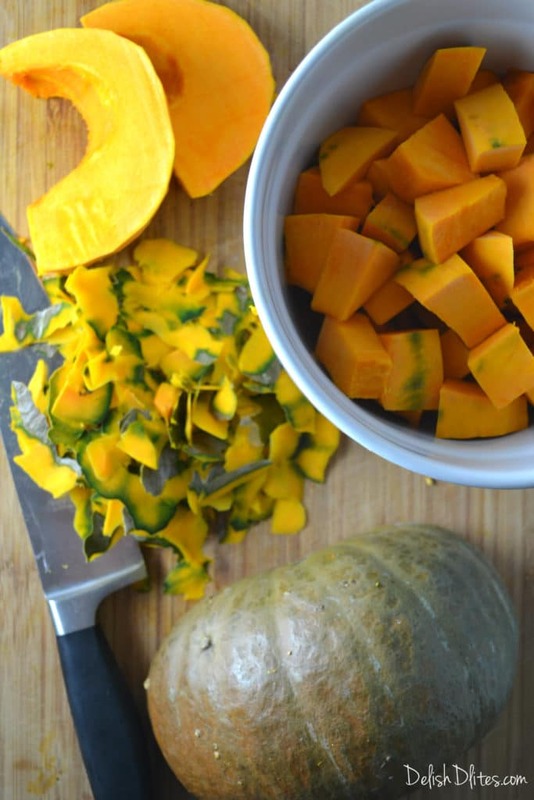 Peel and chop your Kabocha squash into 1 inch chunks. 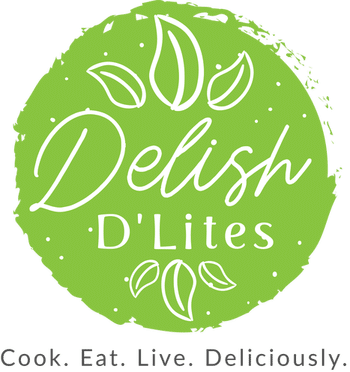 I love Massaman curry, if you’ve never tried it, put it on your bucket list, now! 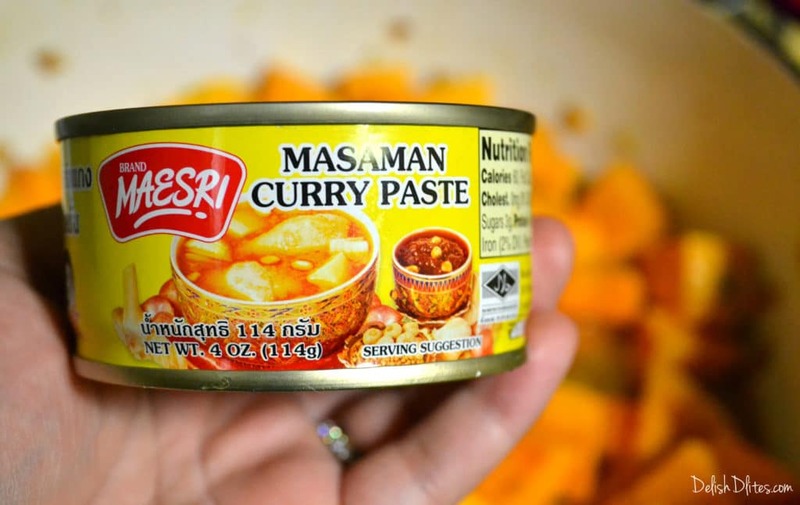 My favorite curry paste brand to use is Maesri, and this one is vegetarian. I usually find it at my local Asian supermarket. Make sure the one you’re using doesn’t contain fish or shrimp. In a large pot, heat a pan to medium heat, and add your oil. Saute the onions, garlic and ginger for 3-5 minutes, until fragrant. Add the squash, water, Massaman curry paste, turmeric, cumin, and red pepper flakes. 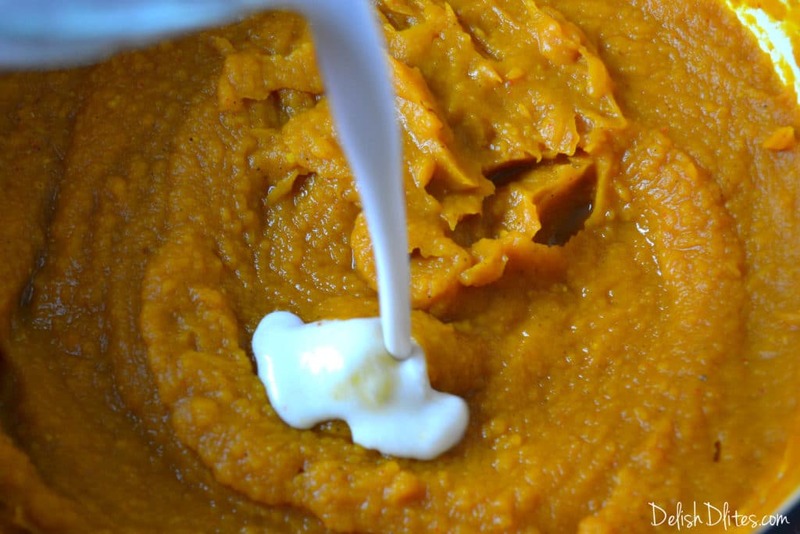 Stir to combine, then cover and cook for 15-20 minutes, until the squash is tender. 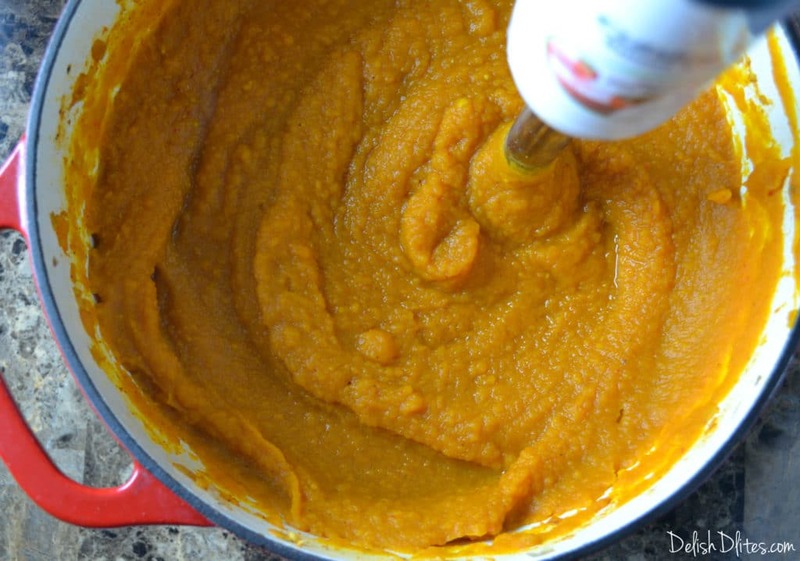 Remove the pot from the heat, then use an immersion blender to puree the squash. …and the chickpeas. Season the whole thing with salt, and you’re done! 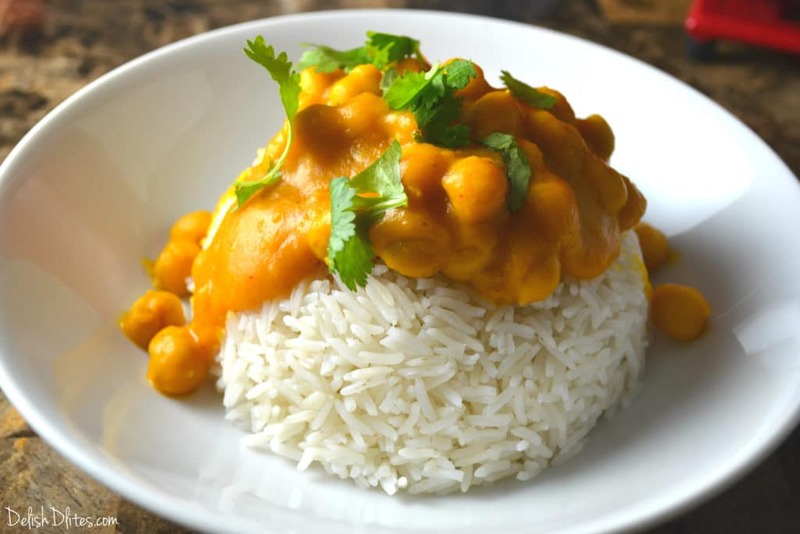 Serve over basmati rice, and garnish with fresh cilantro. 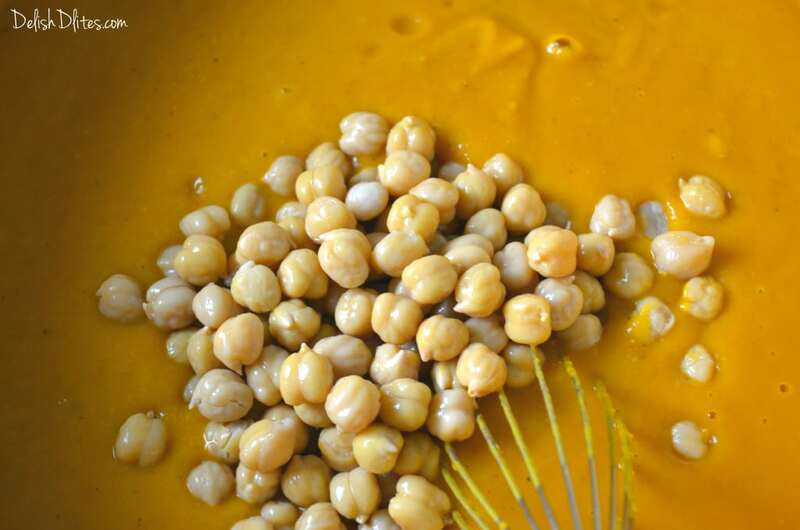 Stir in the coconut milk and the chickpeas. Season the whole thing with salt, and you're done! 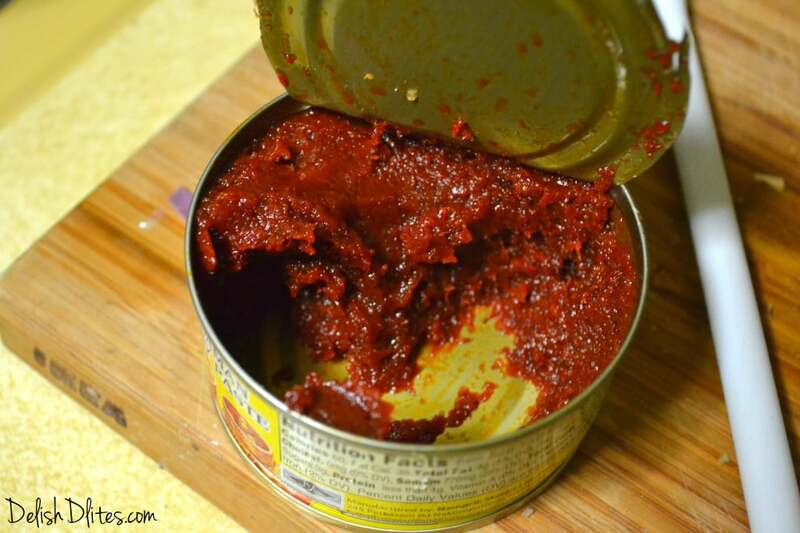 My favorite curry paste brand to use is Maesri, and this one is vegetarian. I usually find it at my local Asian supermarket. Make sure the one you're using doesn't contain fish or shrimp.